If you’re like me, you might be at a loss for words after hearing about last night’s senseless terror attack in Manchester. It’s hard not to feel hopeless when you get news of these repeatedly horrific events. I generally prefer to keep my blog and social channels a positive space, but I just can’t bring myself to write a bubbly blog post in light of this most recent attack. With that said, I didn’t want to leave y’all hanging and I had the collage ready to go… so I figured at the very least this colorful coral EDIT might help to brighten your day. Thinking about and praying for all those effected by the Manchester attack and all prior terrorist acts. I love that this post is watermelon-inspiredish. Such a pretty color palette for summer! Love that eyelet one shoulder dress! And those coasters would make the perfect hostess gift! Gosh I know. It’s so sad what’s going on in the world. I appreciate you sharing positive things. I think sometimes all we can do is try to put more positivity back into the world. 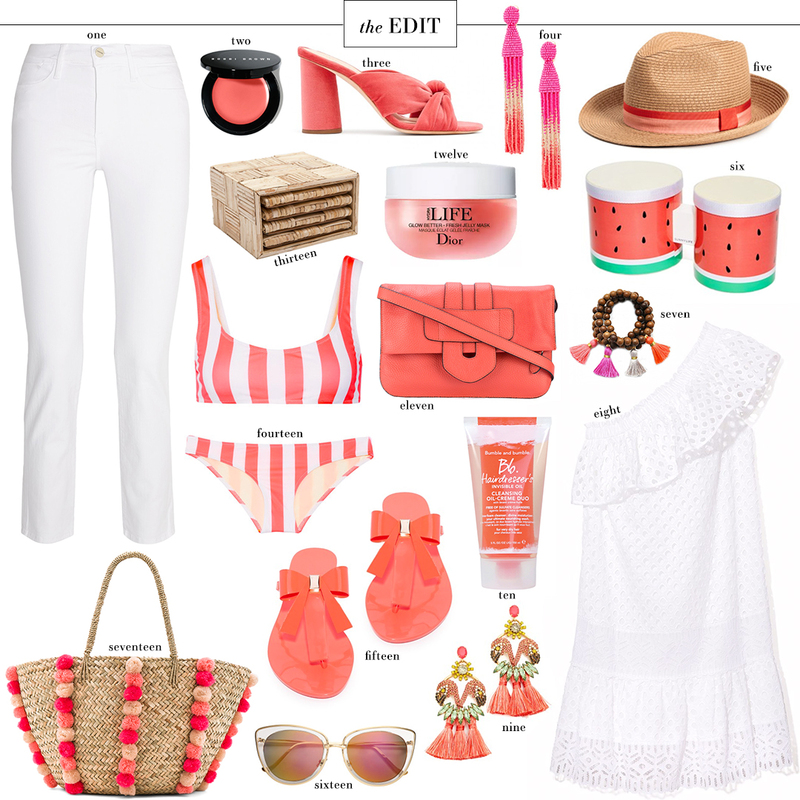 Not to switch topics, but I love love love this watermelon/coral color. It’s beautiful! It really is unbelievable… hard to believe there are people like that in the world. I hear ya… Sometimes putting positivity back in motion is all we can do. It’s unbelievable, I couldn’t rip my eyes from the tv last night or even today either. I’m definitely trying to just take every moment today in life and be grateful. Thanks for sticking with the edit, I always enjoy your collages! Hope you’re having a lovely time in Mexico.